Here's how to avoid the 40 man BGs and/or know which kind of BG you're going to get before you enter it. When your Battleground pops (The Enter or Leave Queue Button) , do you notice all the clicking sounds? That's other players clicking to enter the BG. Wait just a little bit before you click "enter" and see how many clicks you hear. 1) If it was a low number of click noises, you're going to get into a 10 or 15 man BG. It's safe to enter this BG. 2) If you hear spam clicking and/or can't keep track of the number of clicks, it's a 40 man BG. Simply leave queue and queue up again if you don't like the bigger BGs. 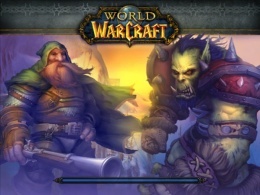 3) If you hear NO clicking, you're being put into a BG in progress. Most likely a fail. Leave queue and queue up again for a fresh BattleGround. Heh thanks for the tips! Yeah, I never keep the sound on either. Might give this a try.